More information is available on the dockless bike share fact sheet and in the frequently asked questions below. For further questions, contact Facilities & Services at bike@illinois.edu. A public bicycle system, ideal for short-distance trips. This service provides individuals with the ability to check out/rent a bicycle through an app on a smartphone. 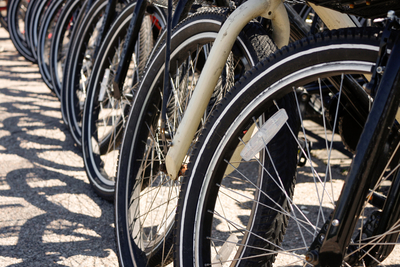 Individuals can park the bicycle at any bicycle rack across campus or in the cities. Who can use bike share? Bike share is operated by private businesses who will be responsible for maintaining their bicycle fleet. There will be locations around the campus and in the cities where bikes will be available for anyone to use at any time (24/7). Anyone with a smartphone can download the app and start an account. Veoride is the only permitted bike share vendor in the community at this time. Who is providing these bikes? Is this the university buying bikes or the cities? 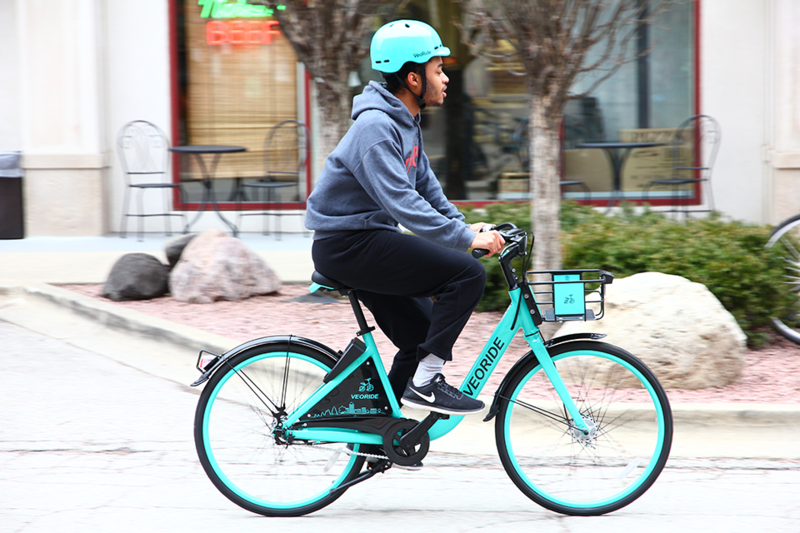 Multiple bike share companies will provide their bicycles to the community. The university and cities of Champaign and Urbana will not be providing the bikes. The bike share services are not the property of the university or the community. What is the price range for bike share? Bike share prices range anywhere from $0.50 to $2.00 per hour depending on the company. If there is a bike share bicycle that is parked improperly, what should I do? A 24-hour customer service call line will be available to answer questions and/or concerns of dockless bike share. All bike share bicycles will have their phone number posted on the bicycle. If you see a bicycle that has fallen over or is misplaced, it is ok to pick it up and move it. Bike share companies will be responsible for addressing reported issues within three hours during peak hours. Do the cities and/or the university make money from dockless bike share? The cities and the university receive only a license application fee. Additionally, all bike share companies must register each bicycle with the university for a fee. How are the bike share companies profiting from this resource? The bike share companies make money by providing bicycles as a short-term rental. These companies charge hourly rates for the use of the bikes. 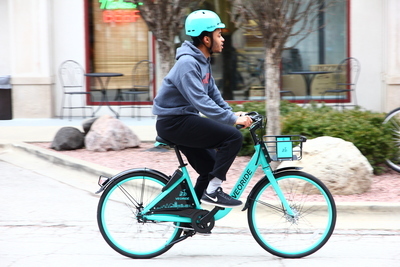 Are bicycle laws different in Illinois compared to states like Indiana and Wisconsin? Yes, bicycle laws differ from state-to-state. The website bikesafetyquiz.com can help quiz the user on bike and driving laws for the State of Illinois. Do the bicycles have lights? The bike share bicycles have lights like regular bicycles to be used during night time conditions.